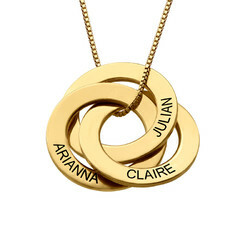 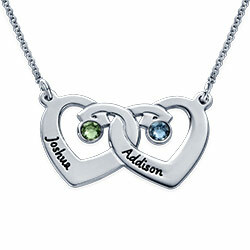 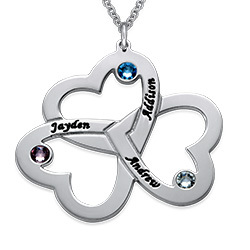 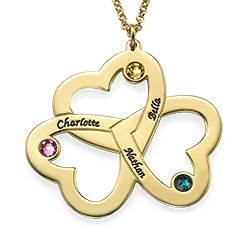 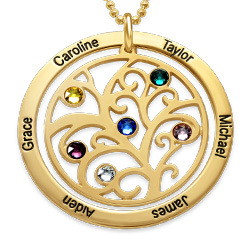 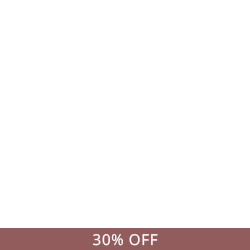 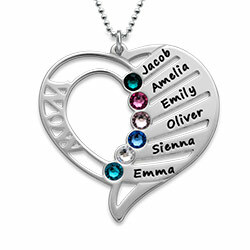 In search of gold plated necklaces for mom? 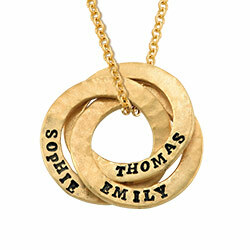 Our Stamped Interlocking Russian Ring Necklace in Gold Plating might be exactly what she’s dreaming of. 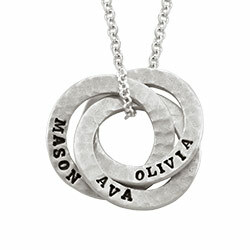 A beautiful hammered finish is just the beginning! 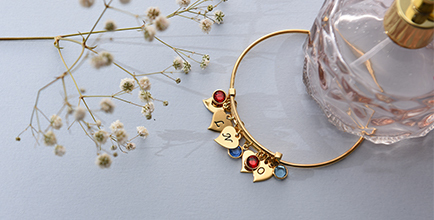 This gorgeous Russian ring necklace is made with sterling silver and beautiful 18k gold plate for a luxurious glow next to skin. 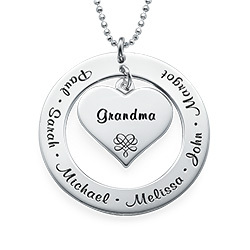 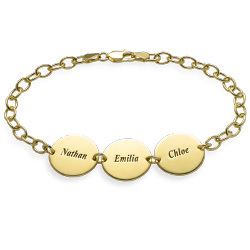 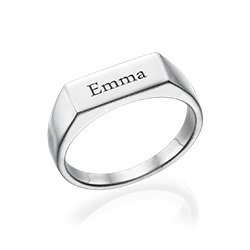 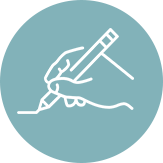 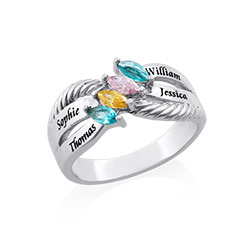 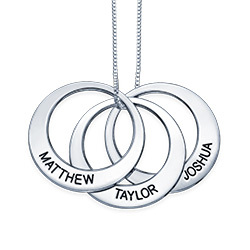 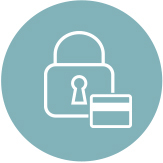 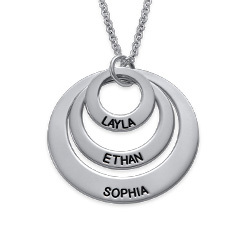 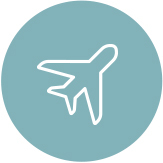 It is suspended from a rolo chain in your choice of length, and is perfectly personalized once you have selected an inscription for each ring. 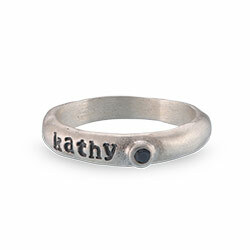 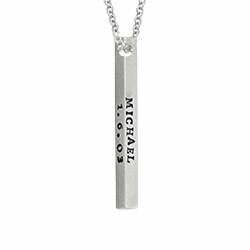 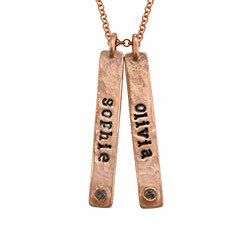 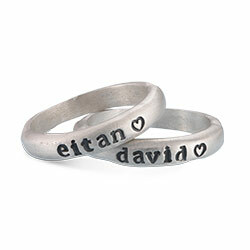 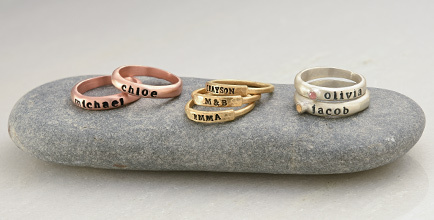 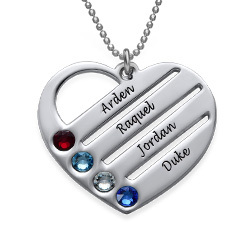 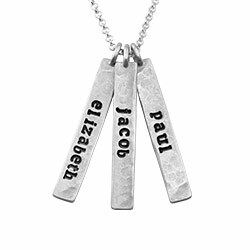 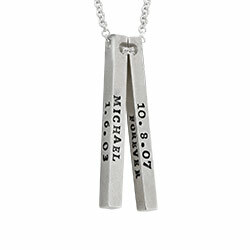 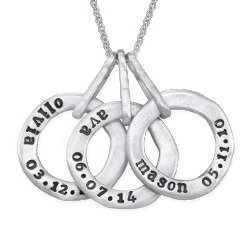 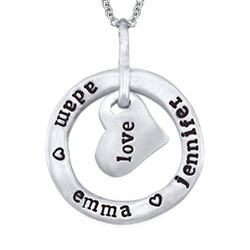 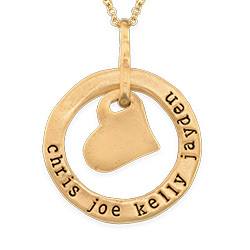 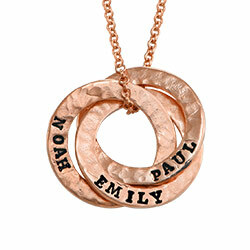 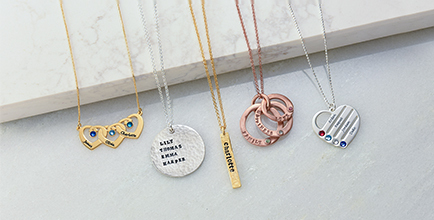 See our collection for even more custom hand stamped jewelry.